“Common Differences” explores the reasons for and the development of the conflict in Sri Lanka through interviews with a wide range of stakeholders. Subsequent to its launch, the film has been hailed as an impartial response to many of the allegations contained against the Sri Lankan Army and the Government of Sri Lanka in the much-publicized Channel 4 Video – “Sri Lanka’s Killing Fields”, and it’s subsequent programmes. 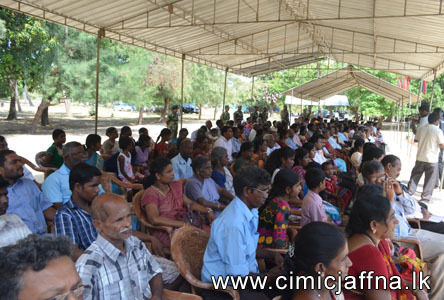 The foundation stone for the construction of University College-Jaffna was laid at Jaffna Technical College premises on 16th September 2013. With the sole purpose of upgrading the education standards of the province and according to the vision of Mahinda Chinthanaya, this building will be constructed at a cost of 115 million rupees by Ministry of Youth Affairs and Skills Development. Minister of Youth Affairs and Skills Development Dullus Alahapperuma, Minister of Traditional Industries and Small Enterprise Development Douglas Devananda, Governor of Northern Province GA Chandrasiri, parliamentarian M.Chandrakumar and Monitoring Parliamentarian Mohanlal Grero participated as the guests and laid the foundation stones. 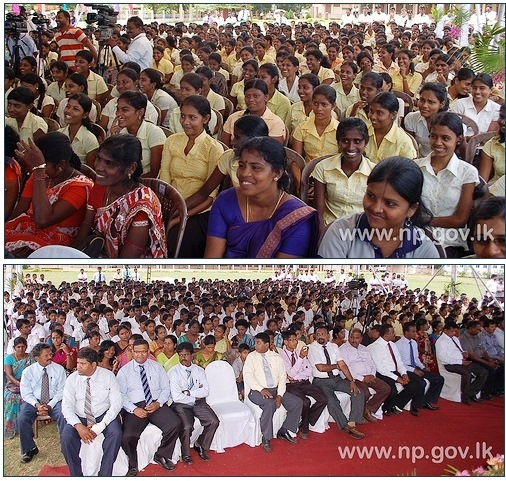 25 university colleges are being constructed all over the country with the funding of Ministry of Finance. Steps have been taken presently to construct 7 university colleges during the first phase of this project. In these colleges, 30 new courses are to be introduced. Totally 40 diploma courses are to be conducted. It is said that 300 students will be enrolled to the courses. 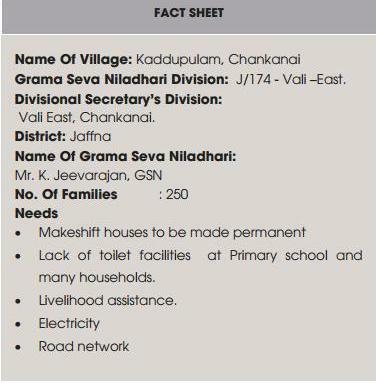 Army Releases more houses & lands to Civilians in Vadamaratchi East, Pachchilapallai and Valikamam areas. Some more houses and lands in Vadamaratchi East, Pachchilapallai and Valikamam areas, hitherto occupied by the Army, were released on Friday (23) after shifting those camps to government lands. Commander Security Forces – Jaffna (SF-J) Major General Mahinda Hathurusinghe delivered the documents related to the release of 51 acres and 7 houses in Uduththurai, Mamunai, Champiyanpattu and Pullopallai to the Minister of Traditional Industries and Small Enterprises Development Mr. Douglas Devananda who subsequently handed them over to Civil Administrative Authorities. Camps were established in those areas by the Army in 2009 after defeating the LTTE terrorists in Humanitarian Operation. 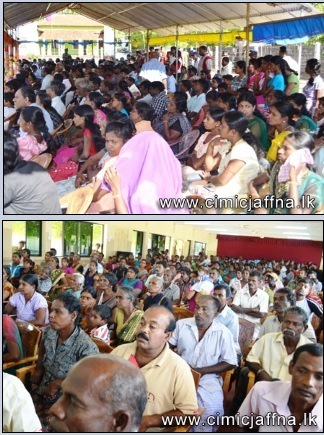 Divisional Secretary Vadamaratchi East Mr. S. Saththiyaseelan, Administrative Officer Pachchilapallai Divisional Secretariat Mr. T. Suntharamoorth, General Officer Commanding 55 Division Brigadier Ajith Wijesinghe and a large crowd attended the handing over ceremony held at Thalaiady Central College. The 55 Division had arranged a donation of dry ration packs, each worth of Rs. 2000/=, for 75 low income families in the area on the same occasion. Pradesha Saba continue to provide drinking water for the families. The divisional secretariat and an NGO have renovated a few wells whilst other sanitation facilities too have been provided by other NGOs and the government. 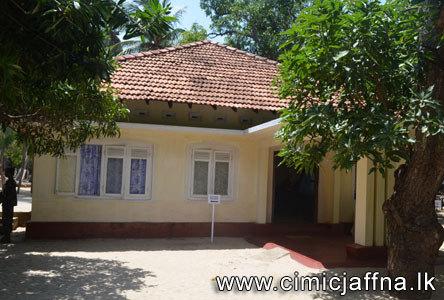 A primary school at Kaddupulam is in operation. Livelihood is mainly fishing while many are engaged in labour till sustainable livelihood opportunities are available. Assistance in the form of livelihood support and education facilities for children were priority. Rinusha is a 22 year old Media Studies undergraduate of the University of Jaffna, and a budding young entrepreneur. After the end of the war when the Industrial Development Board (IDB) offered candle-making classes Rinusha enrolled herself for the class as she saw an opportunity to enhance her family income through this small home industry. 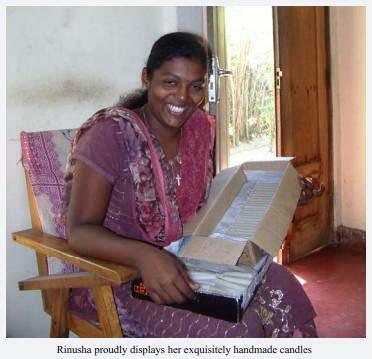 Once Rinusha finished her candle-making course at the IDB, she approached the Parish Priest of the church nearby; the church offered to buy Rinusha’s candles for 3 rupees per candle. The only thing which held back Rinusha from giving full expression to her enterprising nature was the lack of a capital of 5000 rupees to buy a candle mould. News of her desire to seek a livelihood loan for her candle-making enterprise was conveyed to the Business Development Unit of Alliance Development Trust (ADT) through the IDB. The Business Development Unit was happy to offer a repayable loan to this budding young entrepreneur. Rinusha was soon in the business of making candles and generating an income from it. To date, Rinusha has made 2000 candles for various church festivals. 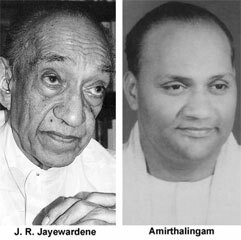 Ten houses and twenty nine acres of lands used by the Army in Jaffna were released to owners at a ceremony held in Eluththumadduval on Monday (26) with redeployment of six Army camps at Varani, Manthuvil, Iyaththalai, Ketpeli and Eluththumadduval including 522 Brigade Headquarters at Mirusuvil, Security Forces – Jaffna (SF-J) handed over those lands and houses to respective Civil Administrative officials. Chief Priest of Ushan Hindu Temple, Minister of Traditional Industries and Small Enterprises Mr. Douglas Devananda, Commander SF-J Major General Mahinda Hathurusinghe, Divisional Secretary Chavakachcheri Ms S. Shanthaseelan and General Officer Commanding 52 Division Brigadier Anura Sudhasinghe were present on the occasion.